In a Tweet published to his official Twitter account last year, Amazon CEO Jeff Bezos sought advice from his followers on the best ways to spend his staggering multi-billion dollar fortune. And while the Amazon founder, whose net worth recently surpassed a whopping $131 billion, was seeking literally any ideas (from philanthropic causes to humanitarian efforts and basically anything in-between) it appears he already had other ideas in mind all along. During an interview over the weekend with Business Insider’s Mathias Dopfner, who has previously sat down with other self-made billionaire executives including Microsoft founder, Bill Gates, Bezos was asked what “money means for him” – specifically in the context of being the first person in history to have amassed such a high net worth, and how he envisions spending his fortune to benefit worthy causes and perhaps the greater good of humanity, in meaningful ways. 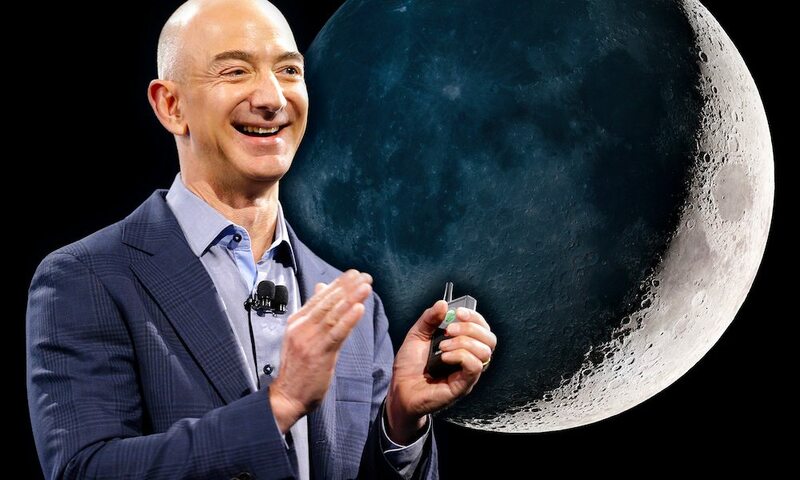 The Amazon boss went on to explain that for years, and likely to be continued into the foreseeable future, he’s been converting an estimated $1 billion worth of his personal Amazon (AMZN) stock holdings into cash which he then funnels directly into his burgeoning space travel enterprise, Blue Origin, with hopes of one day making the prospect of traveling into space a commercial option for consumers. Of course, Bezos isn’t the only self-made billionaire currently spending his fortune on furthering space travel, but is actually in direct competition with Elon Musk’s space travel foundry, SpaceX, who’s also hoping to become the first to make it happen. Still, the blatantly self-serving comments and aspirations haven’t sat well with some on social media, and many of his followers have openly criticized the Amazon CEO for failing to acknowledge issues currently plaguing planet Earth. Some followers, for instance, questioned why Bezos hasn’t instead decided to give his most important employees an honest wage raise – while others, pointing to catastrophic events currently plaguing certain parts of the country, called Bezos out for not stepping up to the plate and helping the residents of Flint, Michigan resolve their years-long water crisis, or for not offering to contribute some of his vast fortune to aiding humanitarian crises like natural disaster relief or finding a cure for crippling, terminal diseases.